A review of Liberty Mutual Health Insurance Company finds Liberty Mutual, one of the largest insurance companies in the United States. Liberty Mutual offers automobile, homeowners, personal liability, and life insurance coverage. Unfortunately, as large as it is, the company does not offer health insurance. Get health insurance quotes for policies that fit your needs by entering your zip code in the free toolbox above. 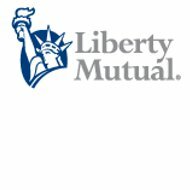 Liberty Mutual was founded in 1912. In 2010, the Boston-based company was the third-largest provider of property and casualty insurance in the U.S. Currently, Liberty Mutual has more than 400 offices across the country. Of course, you can always fill out an online form to request information, submit a compliment or complaint, or just make a suggestion. It’s also possible to follow the company on Facebook and Twitter. Specialty lines include marine, surety, and environmental coverage. The insurance provider is also generous with its auto insurance discounts, which include everything from multi-policy to multi-vehicle discounts, and safety devices to good student discounts. Liberty Mutual offers discounts on home insurance for protective devices such as burglar and fire alarms, and sprinklers. You may also receive a discount if you’re a new customer with no prior claims, or if you combine your homeowner’s policy with another policy from the company. As with the rest of its policies, you can also get a discount if you’re a member of one of the 14,000 groups and membership organizations in its affinity network. The company offers life insurance products through Liberty Life Assurance of Boston. These policies are for term, whole or universal life coverage. Additionally, it offers two different types of annuities: flexible payment deferred and single premium deferred. As you would expect for a company of its size, Liberty Mutual has many job opportunities available on its website. The company makes it very easy for potential employees to search accordingly, as it has you choose from three options before looking through the job offerings: current employees, experienced professionals, and students or recent graduates. Although Liberty Mutual offers a wide range of insurance, you can’t buy health insurance from the company. Please type your zip code into the box below and we’ll be happy to provide you with a selection of health insurance quotes from providers in your area.